The benefits of having bright headlights installed in your car goes without saying. They are extremely useful for dark roads, highway driving at night and in any low light situations. They provide better reaction time, visibility and awareness of your surroundings. There are so many after market headlights to chose from. Which ones are the best? The ratings on the package don't provide misleading specs, making it tricky to choose. Let me present our buyer’s guide to help you choose the brightest headlights on the market in 2019. For the purpose of this post, we searched popular forums, facebook groups, manufacturer's websites and read thousands of Amazon reviews. In the end, we came to a conclusion, leaving us with 6 recommended bright headlights. We considered reviews, price, warranty, reliability, performance (brightness) and popularity. Here is our picks -> 2 picks for each category. Now that you know which model is recommended, let's clear up any doubts about whether or not you should change your headlights bulbs. Did you know that in the U.S. half of all fatal car crashes occur in the dark? Headlights have an obvious role in preventing crashes. Technology in recent years is developing so quickly however most automakers are still falling behind in offering adequate headlights, in fact, most cars and trucks sold today still have inferior stock headlights. IIHS ( the insurance institute for highway safety) has taken initiative to test and rate 80 headlight systems back in 2016. Out of 80 systems and 31 different sedan models, guess how many received a favorable rating? Only ONE out of Thirty one. And more than half of all models were related poor or marginally poor. In 2018, there has been improvements, but still only 8 percent of sedans with stock headlights received a good rating. So if you care about safety, there is no question upgrading your stock headlights is essential. We found the best bulbs in the market; very bright and crisp. The lighting gets extremely focused in a tight pattern to provide excellent vision both horizontally (peripheral vision) and vertically (looking down the road). 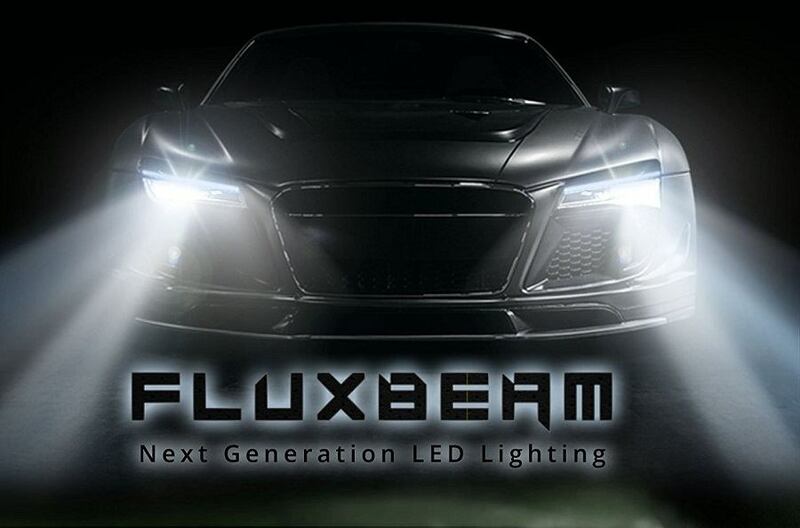 Utilizing Customized CREE Chips,each led headlight bulb can light up to 5090 lux and 6000 lumens@6500k extremely white light with perfect beam pattern,5 times brighter than stock halogen,beating 95% lower intensity LED and HID kit on the market. Besides brightness, it has the latest 360 degree fully adjustable mounting collar. Which means that you can make simple angle adjustments for proper alignment of the bulb to get the perfect light output and correct beam pattern. Having uniform light without any dark spots, provides wider viewing angles. These bad boys have a dual ball bearing fan design which accounts for a combined 12,000 rotations per minute and not to mention it is made with a copper core thermal heat sink, which translated to excellent heat dissipation. 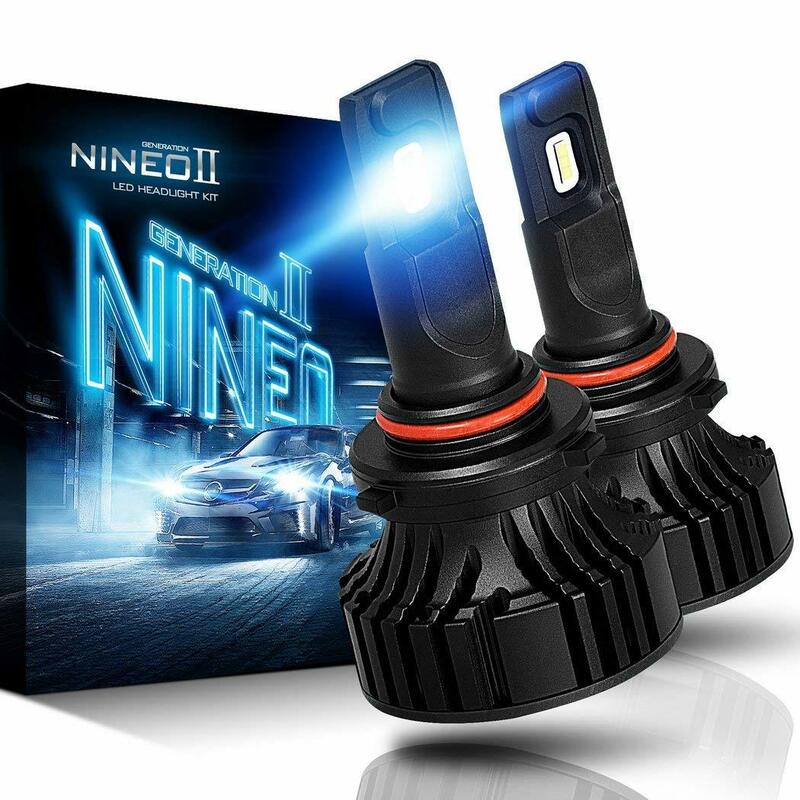 These NINEO headlights last up to 30,000 hours. EASY INSTALLATION - The heat sink part only has a 23.5 mm length and is compatible with almost all (95%) of the vehicles on the road. The design allows enough space for headlight breathing. Typically on most cars these bulbs can be installed in about 20 mins. They are made to be Plug and play installation. The manufacturer also offers a decent 1 year warranty and lifetime support. Amazingly enough it can provide this superior outlight all while using the same amount of power. It's longevity and superb cooling fan is also unmatched. We had out doubts, believing this to be too good to be true, but after further digging and reading a bunch of reviews, we found that they do in fact provide what they claim. They have excellent reviews and HIKARI takes their customer service seriously as well. They offer a great warranty and free replacement service that existing customers appear to be extremely satisfied with. 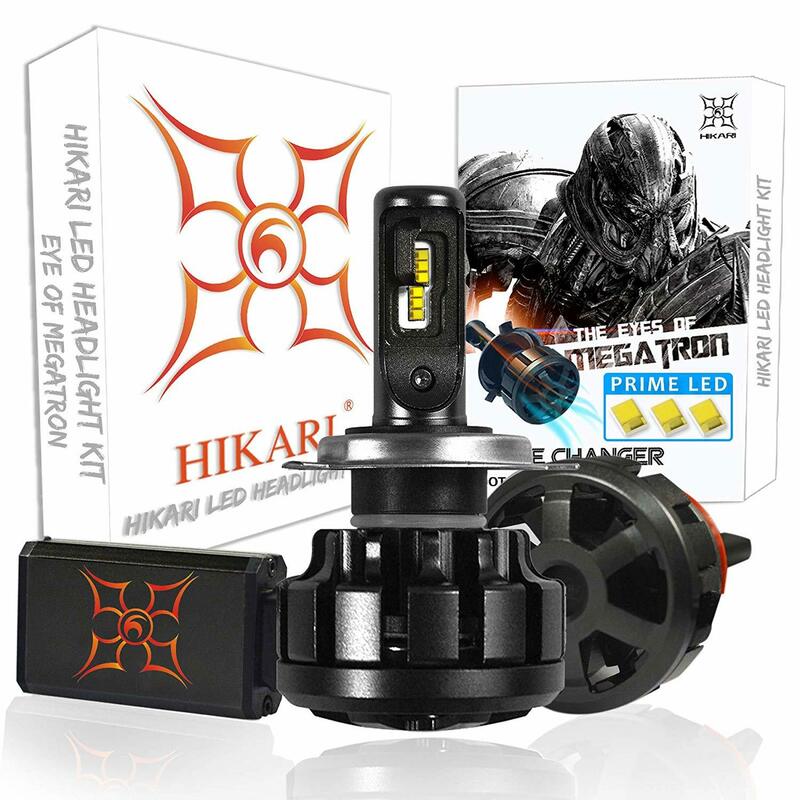 Everything being said, this LED conversion Kit by HIKARI is a great choice if your vehicle does not come pre-quipped with LEDs. That price is for each bulb. 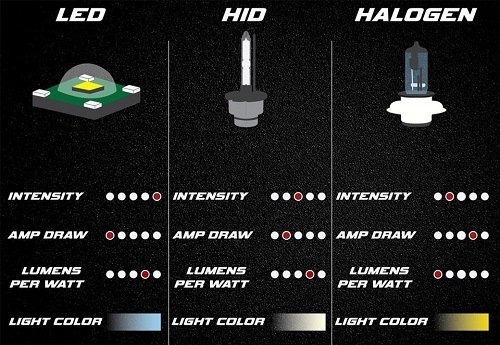 You can only use these bulbs if your car is already outfitted for HID headlights. You cannot plug them into a car that presently has halogen headlights. If you want to upgrade to HID from halogen then you would need to modify your vehicle first by installing a kit. If you don't already have HID lights in your car then skip this one, and proceed to our # 2 choice (DDM Tuning) since it comes with a complete kit to upgrade your lights from halogen to HID. 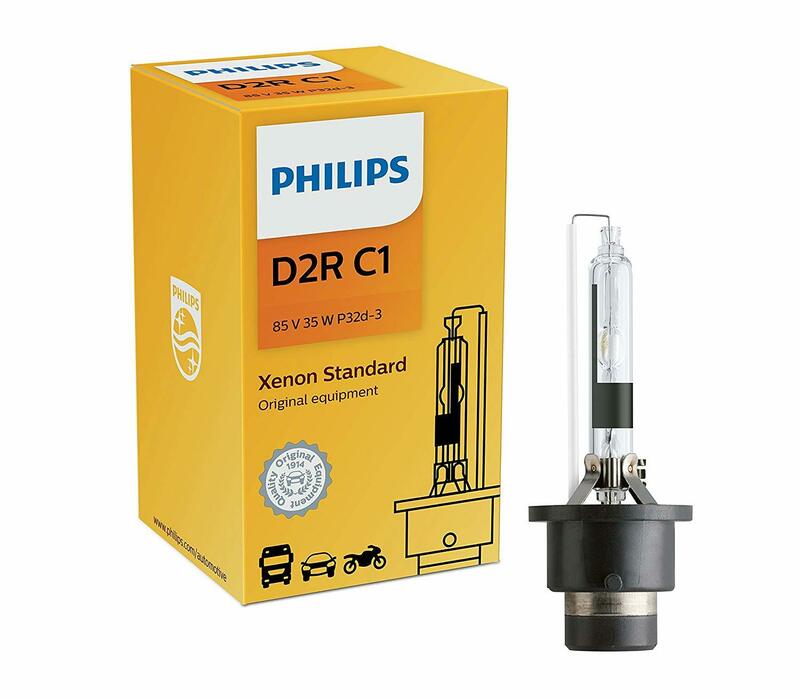 These Philips Xenon HID lights our our first choice because they are easy replacements, have excellent reputation, are backed by the "Philips" brand and deliver better light but consume less power than stock HIDs. You get enhanced visibility while allowing your vehicle to save electrical power for other functions. With twice the amount of light, you can see potential obstacles much sooner. At highway speeds, HID lights give you up to a full second more time to safely react to road hazards. It's a great upgrade and super easy install. The DDM Plus Kits use Ultra HID Bulbs and premium HID Ballasts. Go with the plus model because it has higher output you also get a more efficient, faster starting ballast. It produces up to 20% more light than the standard Apexcone HID bulbs. This kit has everything you need [for most vehicles] for the install including the 2 DDM Plus HID Ballasts, 2 Ultra HID Bulbs and 2 Application Specific Adapter Cables. We put these together because although the Racing Vision has brightness of up to 150% compared to 100% for the X-tremeVision, the latter is compatible with more models. So first see if your car or truck takes a H4 Bulb, if not then go with the X-tremeVision (they are still the second brightness halogen bulbs on the market). 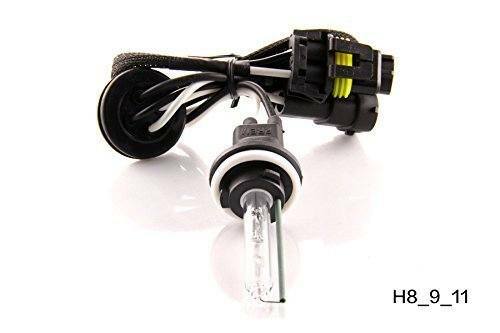 For the halogen headlights either of these bulbs are great, and easily our first choice. I read tons of forums and everyone recommends these for newbies who want brighter lights without having to install a conversion kit. Without any custom installs, these are going to be the brightest headlights available. 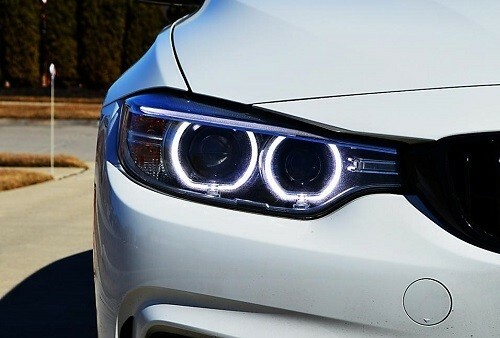 Although they are not as bright as the LEDs or HID previously mentioned, they will still give you a very noticeable upgrade to your stock headlights that most drivers will be more than satisfied with. 100% [or 150% for the Racing Vision] more light is really noticeable! After trying these, you'll wish you gave up on your stock halogen bulbs sooner. They are also DOT compliant and conform with the same quality as your original equipment so you won't need to worry as far as reliability or state laws are concerned. For those keeping score: they are street legal! It's a good idea to always replace both your bulbs at the same time. 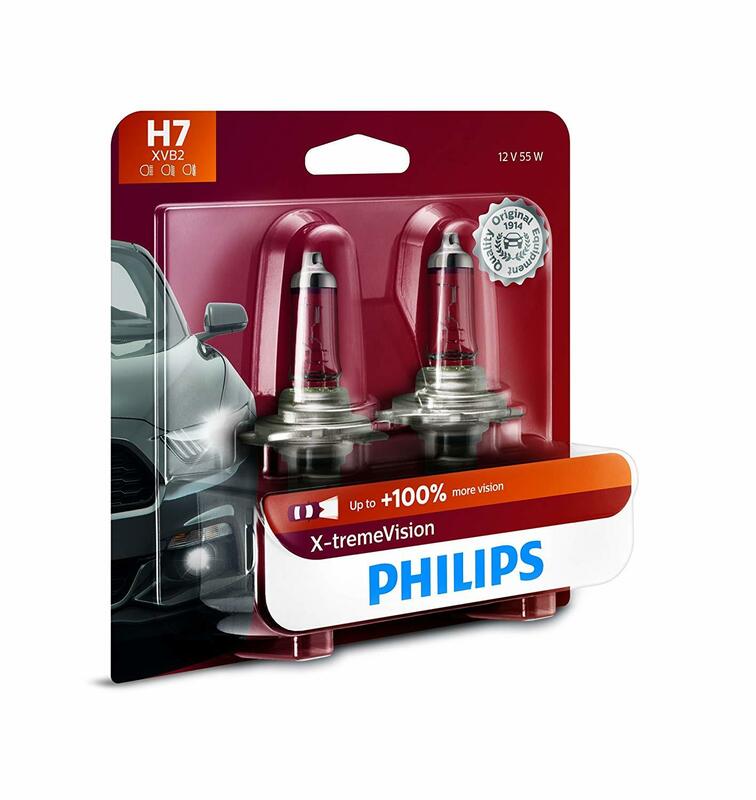 So, for the brightest headlights in the halogen category, these Philips are the winners because they come highly recommended by most light enthusiasts and are made from a reliable brand that have a great track record and warranty. The Osram Night Breaker Headlight is a great alternative to the Phillips previously mentioned. They are actually have a brighter and whiter light. Osram uses a specially designed filament, proprietary gas mixture as well as a lamp coating that shifts the color temperature towards a whiter light. In the halogen headlight category these are our second pick, it's a close second mainly because more people trust the Phillips brand and also there are less available size variations. So depending on the size you need for your particular car, this brand may not be available or it may come with an inferior brightness rating. 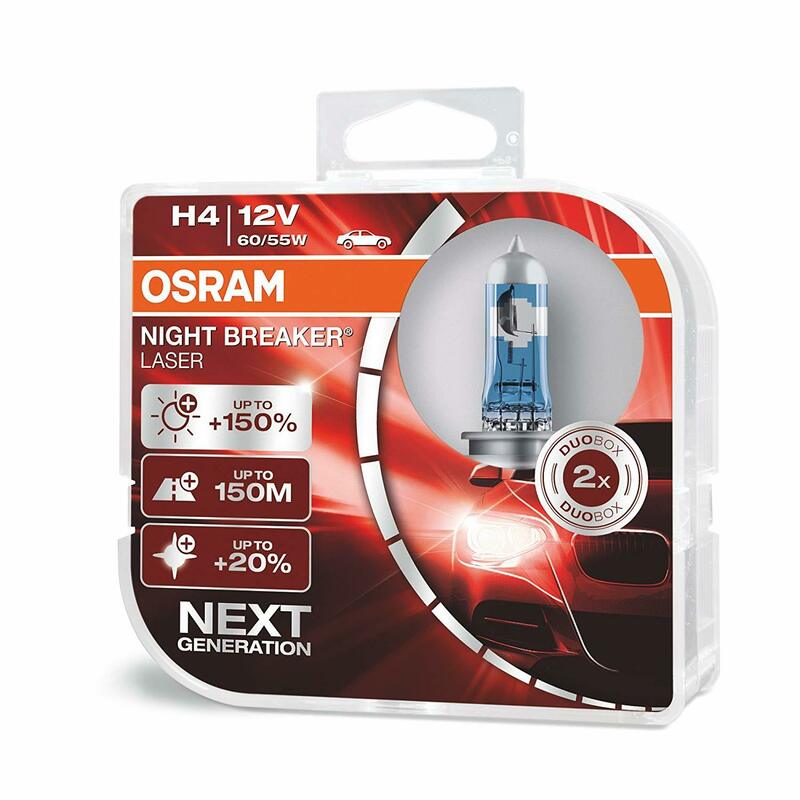 Overall, if you can find the size for your car, and if you prefer a whiter light then don't hesitate buying the Osram Night breakers even over the Phillips. Every buyer will have different things to consider before buying the brightest lights on the market. However, there are some basic questions you need to answer for yourself before adding it to your basket and purchasing. There is no use in buying the best headlight, but not being able to use it. These listed lights have size options, so make sure you choose the right fit. If you are a handy man, you can also consider slightly modifying a lower tier bulb to fit your vehicle. Although it should fit onto most vehicles without difficulty, it is your responsibility to ensure that it will fit on your specific model. It is important to look at the wattage and lumens of the headlight you want to purchase. The wattage is the amount of electrical power which the light produce, while the lumens is a basic unit to measure the flow of light. A light with a higher wattage and higher lumens would thus be brighter and clearer. With regards to headlights you need bright efficient lights that can illuminate the area around you well without blinding on-coming vehicles. Blinding other motorists is however not necessarily because of the strength of the light, but also has to do with the position and reflection of the light beam. Make sure the light you use is legal to use as a headlight in your specific country or state before installing. The three main types of after-market headlights are HID (high intensity discharge) lights, LED (Light emitting diode) lights and Halogen lights. HID lights use xenon gas and are set alight by an electrical charge. Offering a high light output and a wide beam pattern, these are a no brainer. They produce more than double the amount of light of standard Halogen bulbs and their working life is also much longer. Halogen lights are mostly the standard type of OEM headlight. They are not as expensive and create light by heating a filament with electricity. It is the same principle that is used with normal incandescent light bulbs. If you plan to install it yourself, make sure the product is user-friendly with clear instructions for DIY installation. The best headlights are usually easy to install and feature a Plug&Play system, where you connect the new bulb to your current circuit. Otherwise, if you are unsure, rather get a professional technician to assist. If you live in an area that necessitates the use of headlights on a regular basis it is better to go for a longer lasting light e.g. a LED typeheadlight. LED’s have working life hours of up to 50 000 and are very sturdy and durable. When it comes down to it, not matter which brand you chose the important thing is that you chose something. It's not just an aesthetic issue but it is a safety issue. The truth is, most stock headlights just don't cut it when it comes to offering headlights with decent safety ratings. All you have to do figure out if you want HID or LED or Halogen and then pull the trigger and buy a pair ASAP! Safety should be a major priority when getting behind the wheel of any vehicle. If you opt not to upgrade your lighting, that means you are most likely stuck with poorly rated stock headlights, that means reduced visibility at night and potentially risking that you won't be able to adequately judge unexpected pot holes, animals or other road obstructions at night. 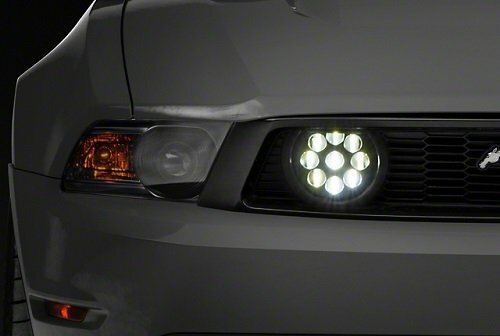 Install some of the brightest headlights from this list and start feeling the security that you should driving deep into the night.